Rhonda Shanks McClure is a fabric artist and painter with an agricultural degree who is married to a professional shepherd. Rhonda and her husband manage a small herd of sheep as well as the business Ewe and Us near Wahoo, Nebraska. 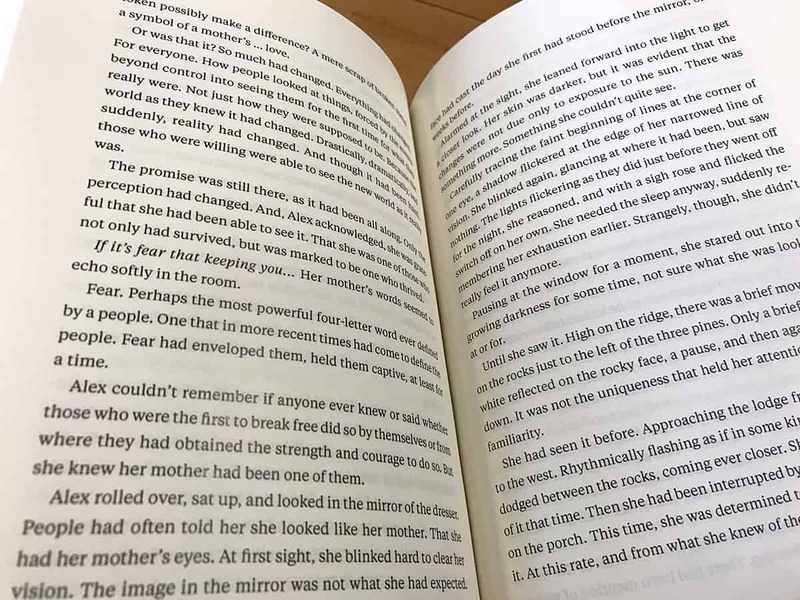 For over 20 years, a manuscript for her post-apocalyptic sci-fi novel had metaphorically sat in a drawer, waiting for the right time to be published. Drawing on Rhonda’s childhood near the Sandhills and her sense of spiritual connection with the land, the book envisions a world after a great physical upheaval, with three moons in the sky and the sea where mountains once stood. 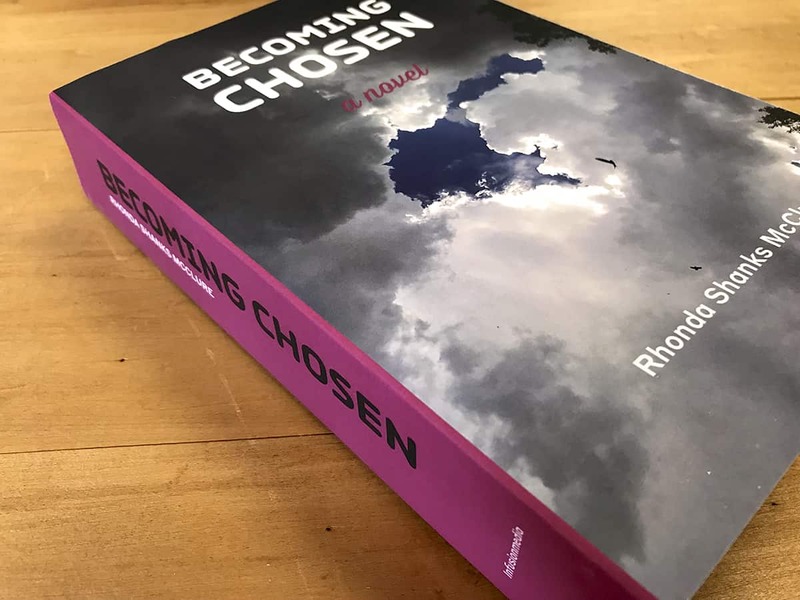 Becoming Chosen was published as a 6 × 9 paperback, printed print-on-demand with a matte cover. 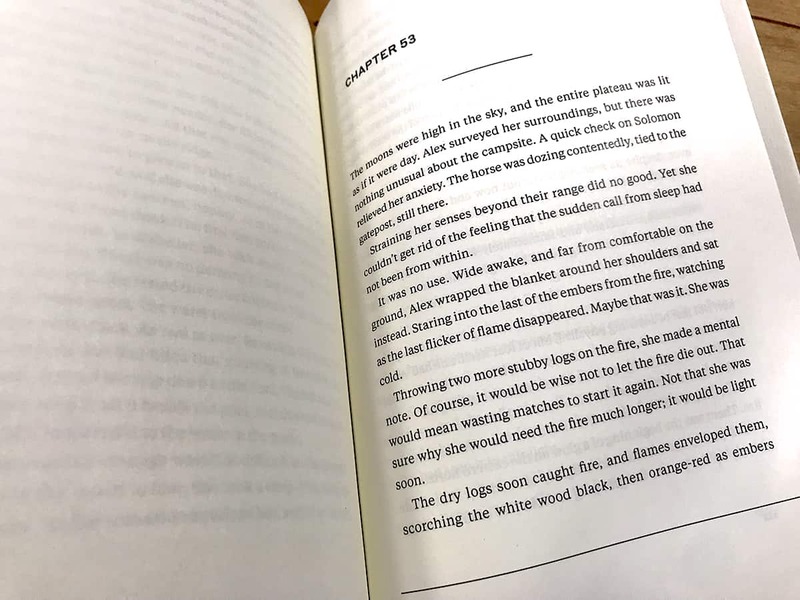 The book is an impressive 776 pages—our second-longest book after A History of the World—and includes a graphic that Rhonda drew of the pieces of a map found over time by the main character.